Website NEWS … World Rotors Update, HB-ZVV [ex I-IRPI]. Posted in: Website NEWS. Tagged: Aerospatiale, Filippo PROSPERO, HB-ZVV, Heli-TV, I-IRPI, Lama, SA315B. 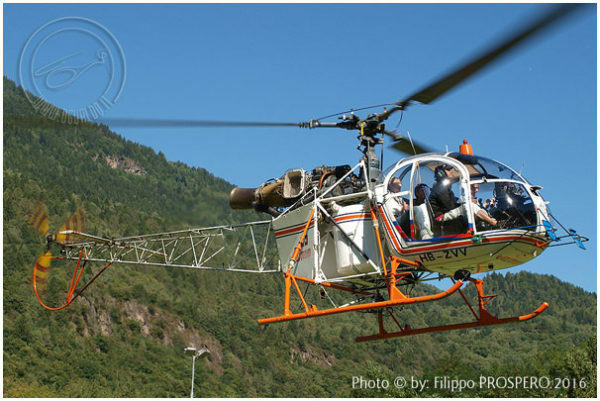 Aerospatiale SA315B Lama Heli-TV HB-ZVV [ex I-IRPI] … now flying in the Ticino Region. August 2016. May register NEWS … I-IRPI, another Lama leaving Italy. Posted in: Italian Helicopter NEWS, Italian Helicopter Register NEWS, Website NEWS. Tagged: Emanuele GHIROLDI, HB-ZVV, Heli-TV, I-IRPI. 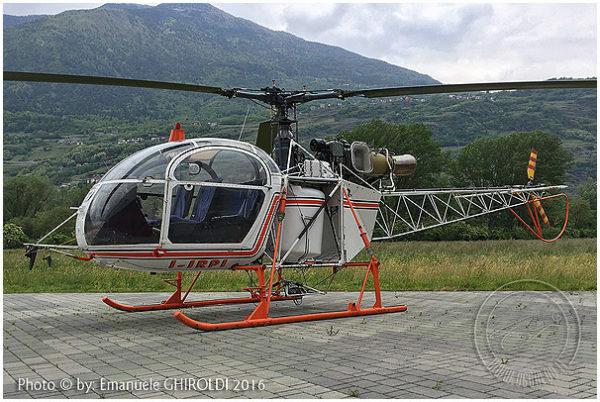 I-IRPI will soon be registered in Switzerland as HB-ZVV and operated by Heli-TV, based in Lodrino (TI).